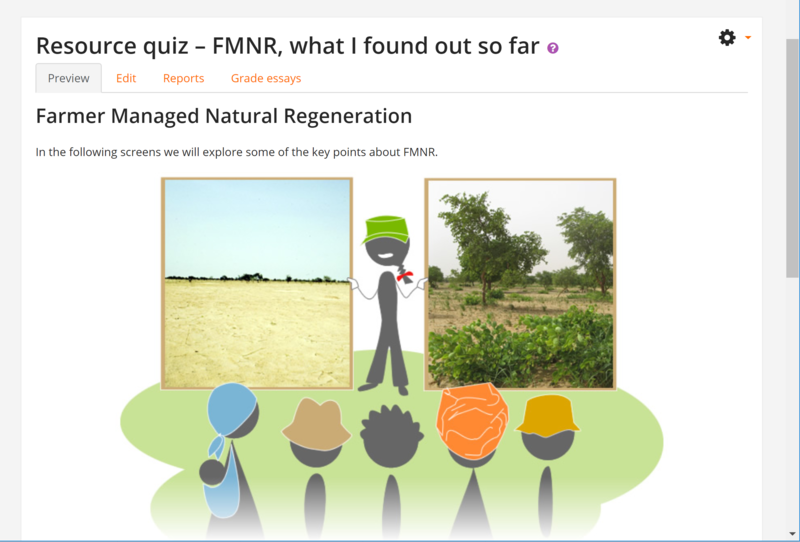 Farmer-managed natural regeneration (FMNR) is a low-cost, sustainable land restoration technique used to combat poverty and hunger amongst poor subsistence farmers in developing countries. It increases food and timber production as well as resilience to climate extremes. It involves the regeneration and management of shrubs from tree stumps and roots. World Vision has been one of the driving forces behind this very successful movement which has already regenerated millions of hectares in Niger, Ethiopia, Mali, Myanmar, East Timor and many more countries. The movement keeps expanding and so do the numbers of practitioners in the field. Whereas face-to-face training is always ideal, there are never enough resources to reach all the people who need to be upskilled. To increase training reach, it was decided to complement the programme with an eWorkshop for World Vision staff who are leading, implementing or supporting an FMNR movement in a community. 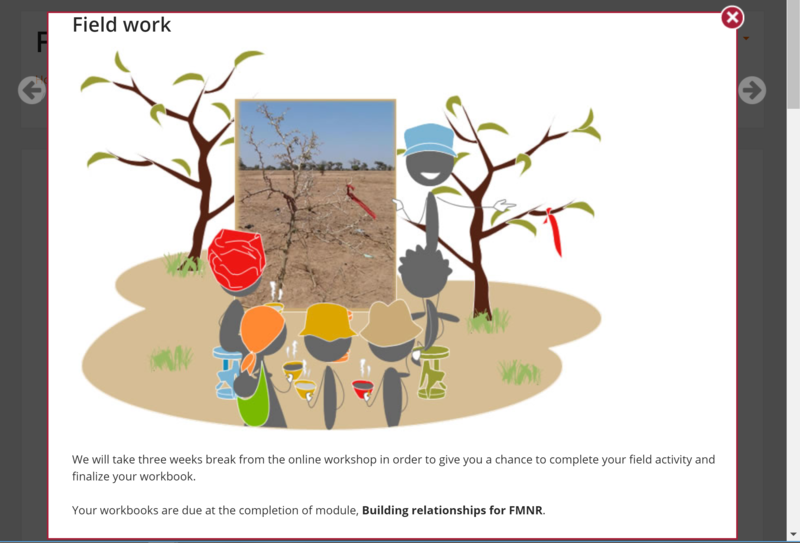 The eWorkshop runs for 9 weeks, after which trainees have a break to do the field work that is required for the eWorkshop. The second part of the eWorkshop takes 3 weeks. There is an expectation to work about 4 hours per week on the workshop activities. The workshop is asynchronous to best support the target group – people who are often in the field, have unreliable but regular internet access, and across different time zones. 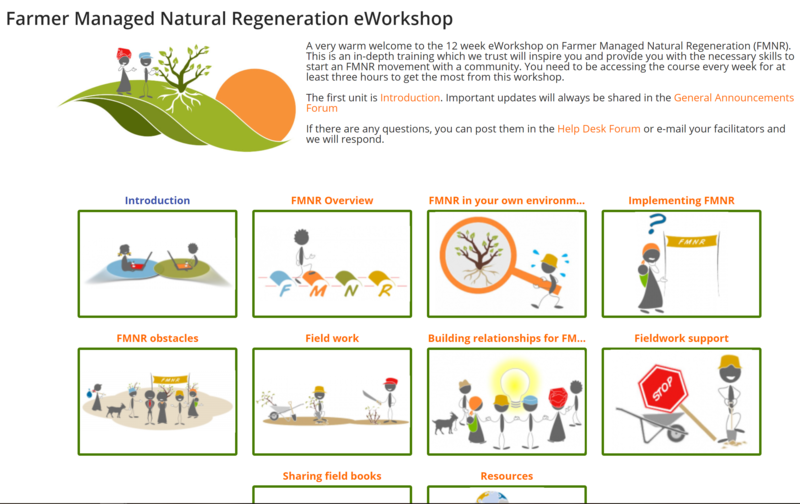 The eWorkshop is facilitated by a team of FMNR experts who are also trained e-facilitators (all World Vision e-facilitators in the SEED programme complete Anouk’s e-facilitation workshop). 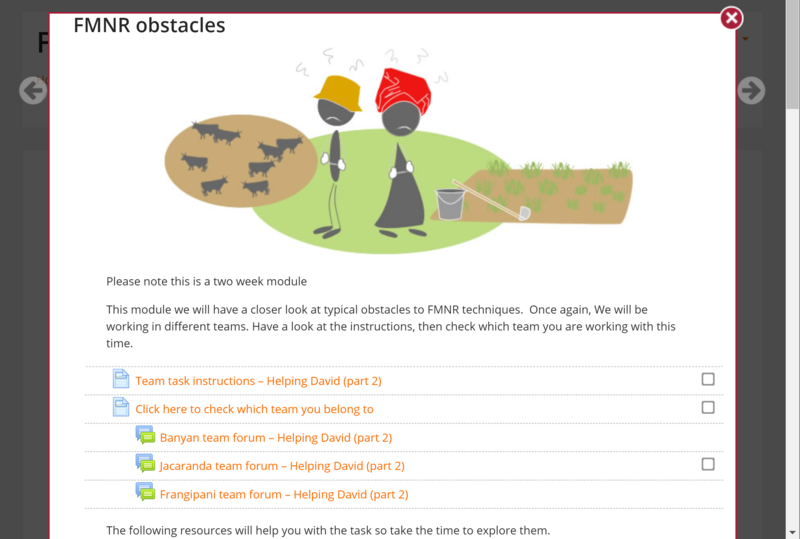 Learners work in cross-country and cross-regional teams to solve typical FMNR problems. 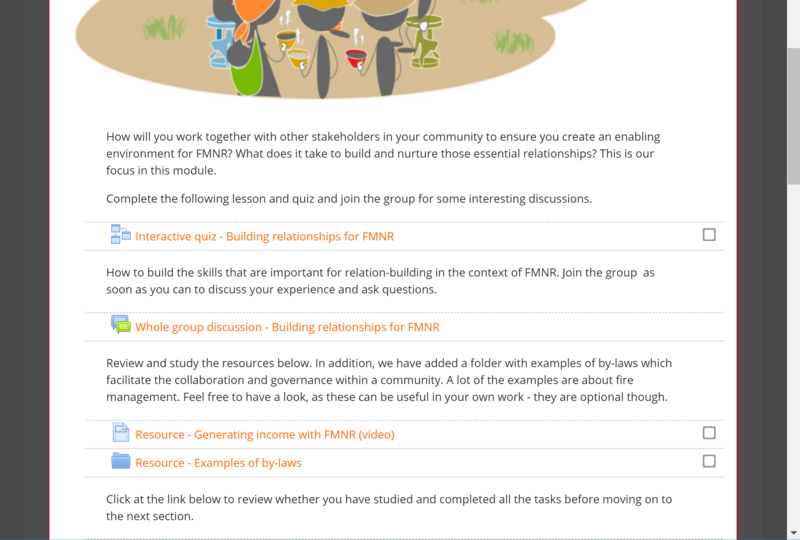 This collaborative ‘problem-based learning’ approach is ideal for this type of subject – a mix of behaviour change and technical knowledge, very much dependent on local contexts. There are many different ways to implement FMNR. We want people to ‘think’ FMNR, not just tick the boxes of a pre-set ‘how to’. Therefore, it wouldn’t be useful to only develop a self-paced FMNR module. The training requires a participatory and learner-centred approach like an eWorkshop, where the voices of the practitioners move center stage. People also learn a lot from their fellow field workers, including those from the other side of the world. The richness of international interactions while collaborating on FMNR problems is very motivating. It also brings very different perspectives.